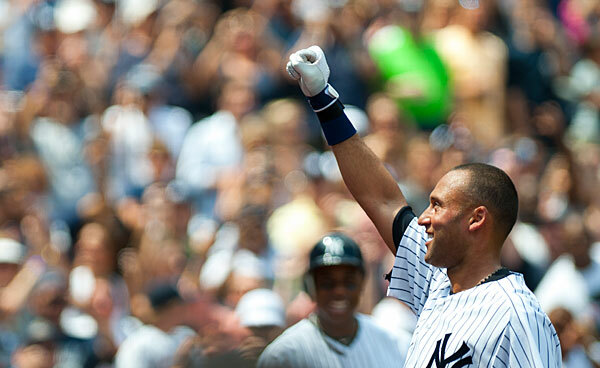 Derek Jeter has announced on Facebook that the 2014 MLB season will be retiring from the game. “And the thing is, I could not be more sure. I know it in my heart. The 2014 season will be my last year playing professional baseball,” Derek Jeter wrote. With fans having so few chances to see the shortstop play one more time, ticket prices for his final games are soaring through the roof. Derek Jeter’s farewell tour will start in Houston on April 1, The New York Yankees’ last home game in the regular season will be on Sept. 25 against the Baltimore Orioles. The New York Yankees’ are not guaranteed to make it the playoffs so don’t wait around, if you want to see Jeter in action be prepared to empty out your piggy banks. Normally, single-game bleacher seats cost between $18 and $22 when purchased before game day. Within seconds of the announcement, ticket prices skyrocketed. At 2 p.m. on February 12th, just before the announcement, a seat to the Yankees-Orioles game on Sept. 25 could be purchased for as low as $26. By 4:30 p.m., the price had went up by more than 350 percent to $280 — for a cheap seat. The average ticket price, by early evening, exceeded $800, according to Ticket aggregator TiqIQ. Nevertheless, seats on the secondary ticket market were being sold for more than 10 times their value. Single-game bleacher seats cost between $18 and $22 when purchased before game day. Just two hours after the announcement, the cheapest bleacher seats were priced at $332 on stubhub.com. Overall, the least expensive tickets are set at $249.20 at the terrace level. Some fans, though, are asking for dollar amounts into the five figures and the highest asking price is set at just over $11,000.